I’ve been blogging for a long time, and it’s a lot of work, but sometimes it’s pretty fun too! I’ve gotten to experience things I wouldn’t have otherwise, and last month I had one of those opportunities. 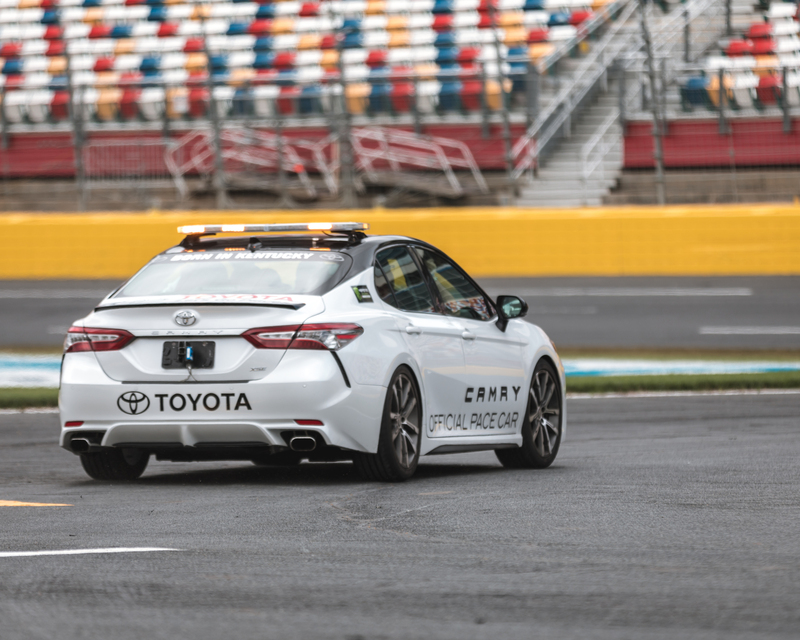 I’m still thinking about the amazing week I had driving the new 2018 Toyota Camry XSE around town and to Charlotte for the NASCAR Cup Series All-Star Race. 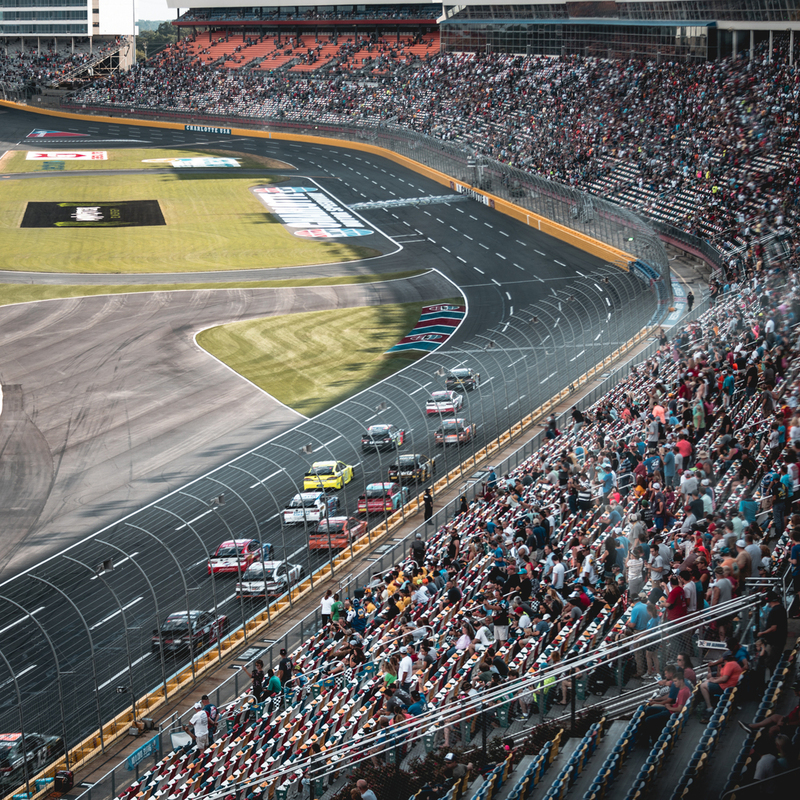 I also got to enjoy some VIP-level access before and during the race at the Charlotte Motor Speedway. It was unbelievable! 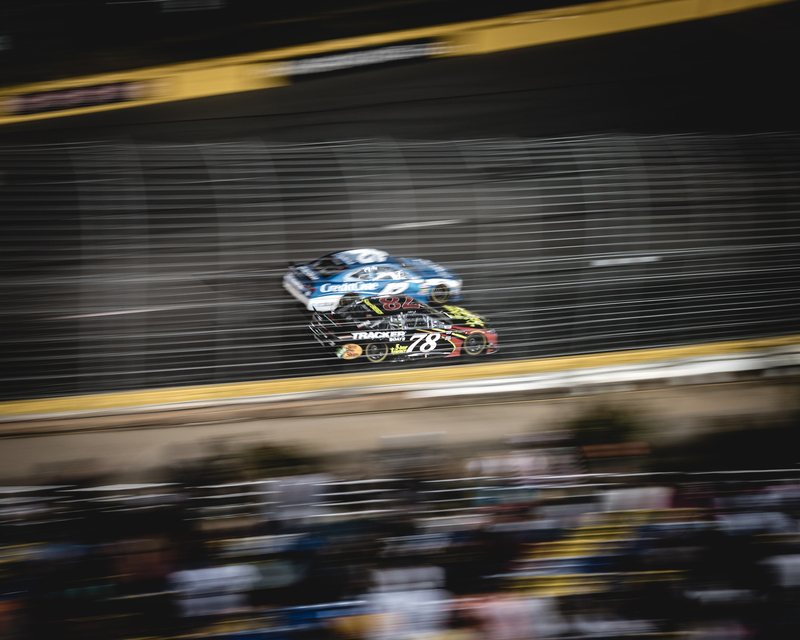 Are you a NASCAR fan? I have to admit that I wasn’t a racing fan, even after living in North Carolina for over 10 years. 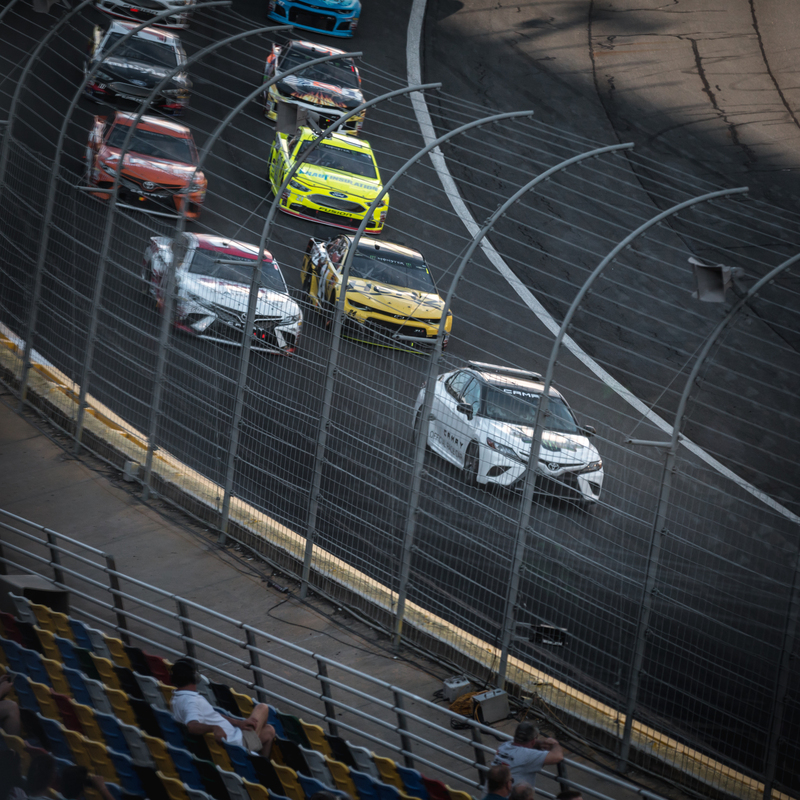 My feelings about NASCAR have changed after an incredible experience I had thanks to Toyota! 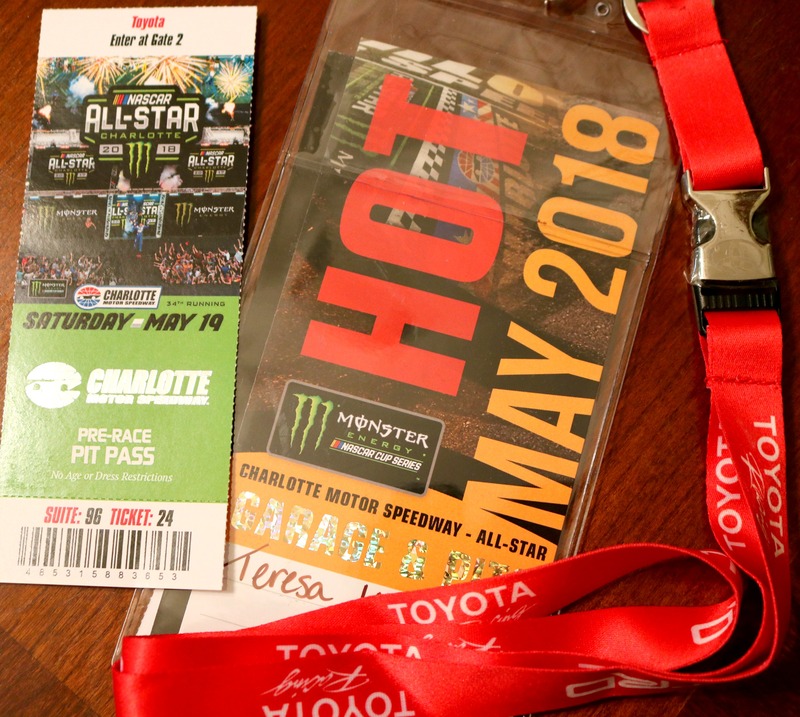 I was privileged to spend two days getting a behind-the-scenes look at all thing NASCAR the weekend of the All-Star Race. 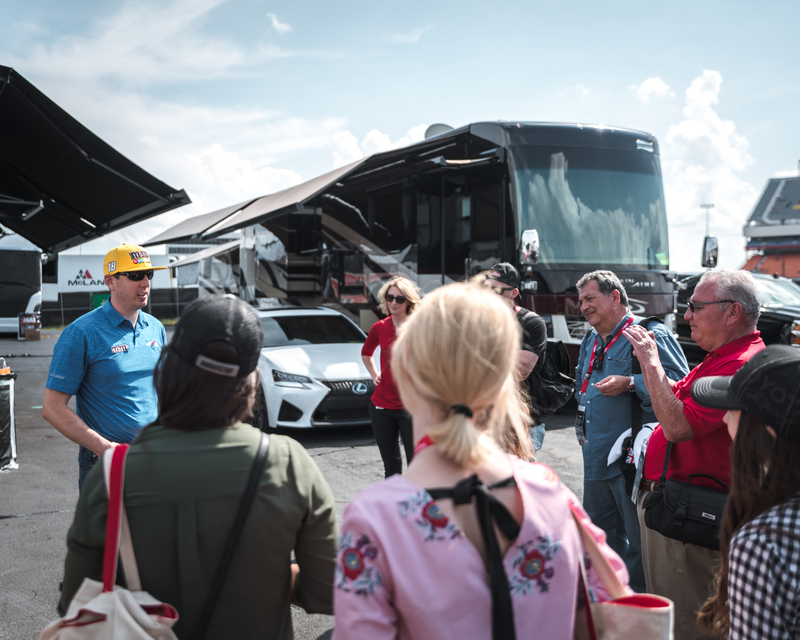 My takeaway, after seeing what goes into the cars, the drivers and teams behind them, making the race experience memorable for the fans, and getting a taste of the racing industry and all of the people who work so hard to make it happen–I am truly impressed! Going into the race weekend, I had no idea what to expect, but I came away with a new perspective. 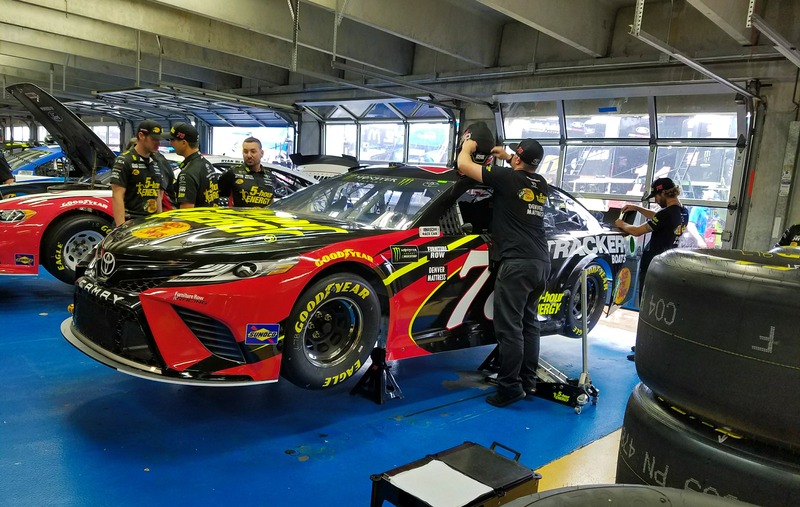 The best way to tell you what it’s like behind the scenes at The Charlotte Motor Speedway and the All-Star Race is just to show you! 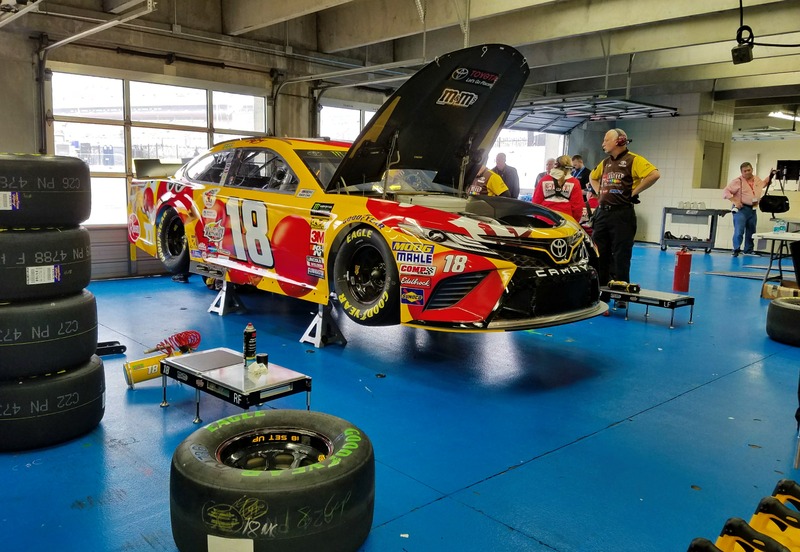 Here’s a look inside the the garage at the Charlotte Motor Speedway! Yes, I was this close to the cars. 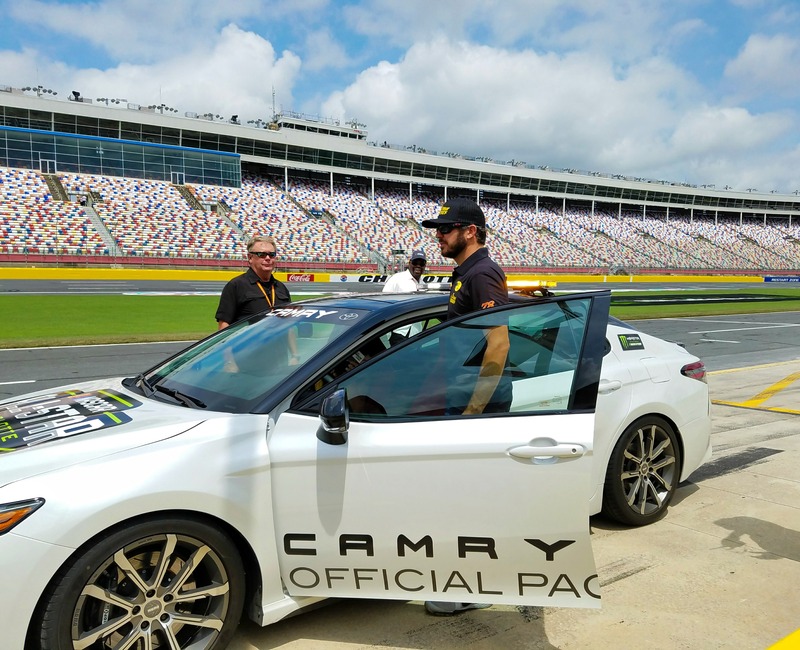 My favorite part of the weekend had to be the ride-along in the pace car with Martin Truex Jr.! It was so much fun–thrilling, but definitely not scary, since I had total confidence that (of course) he knows what he’s doing. I would do this again in a minute! And, he was a super nice guy! This photo courtesy of Uncle Jut. Here’s our group talking with Kyle Busch before the All-Star race. This photo courtesy of Uncle Jut. 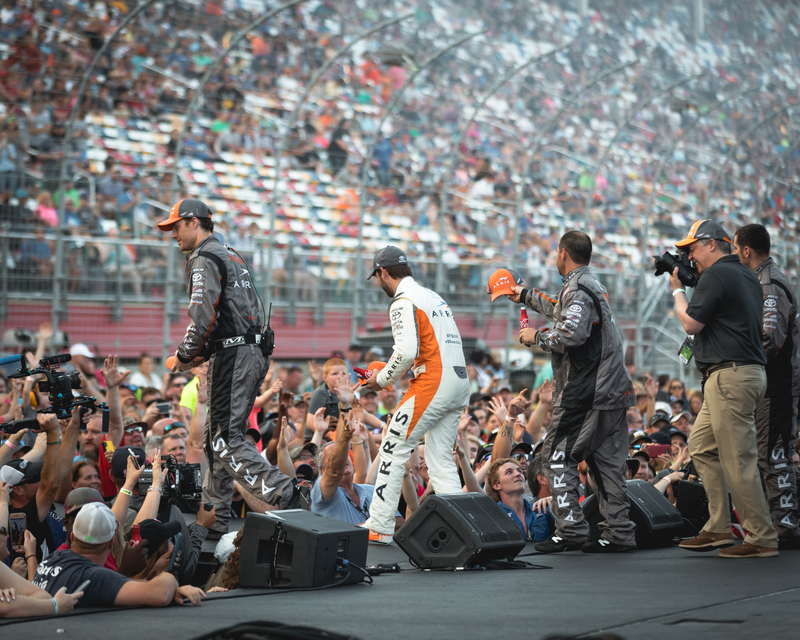 Driver introductions All-Star Race 2018 This photo courtesy of Uncle Jut. 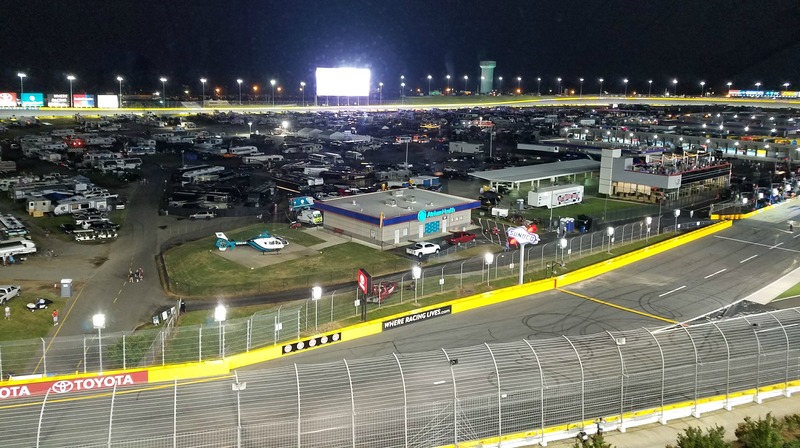 My view from the Toyota suite at the Charlotte Motor Speedway–ready for the race! 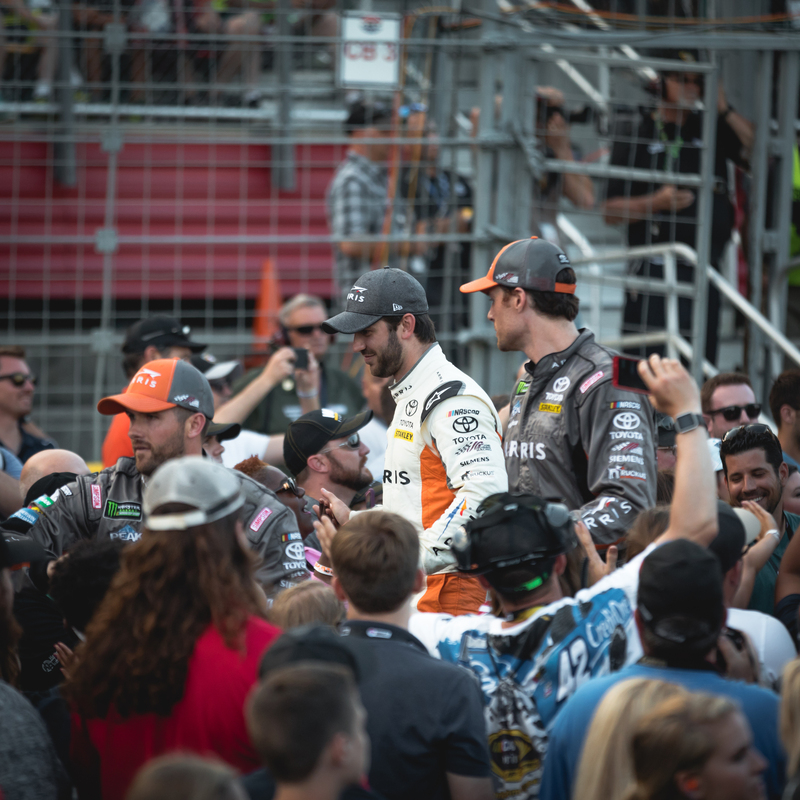 I got to watch part of the All-Star Race from the pit! 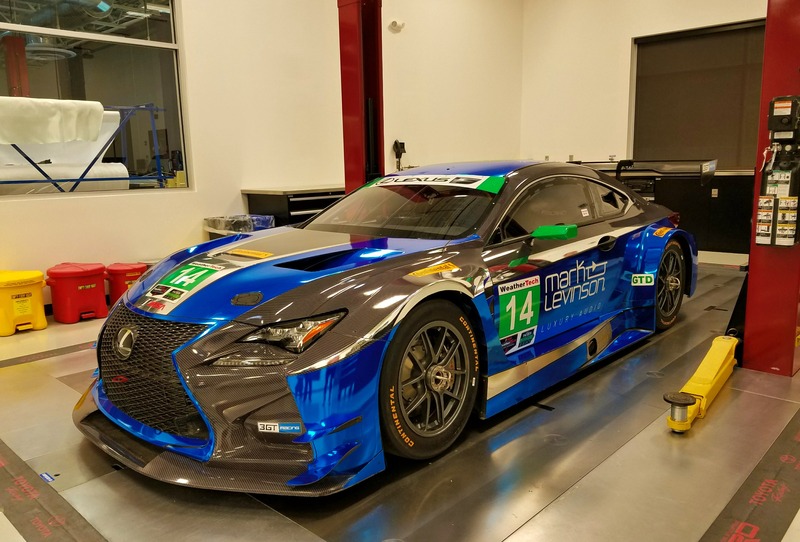 We also toured the Toyota Racing Development facility and met with Toyota representatives to learn more about their innovations on and off the racetrack. At the Toyota Racing Development facility. 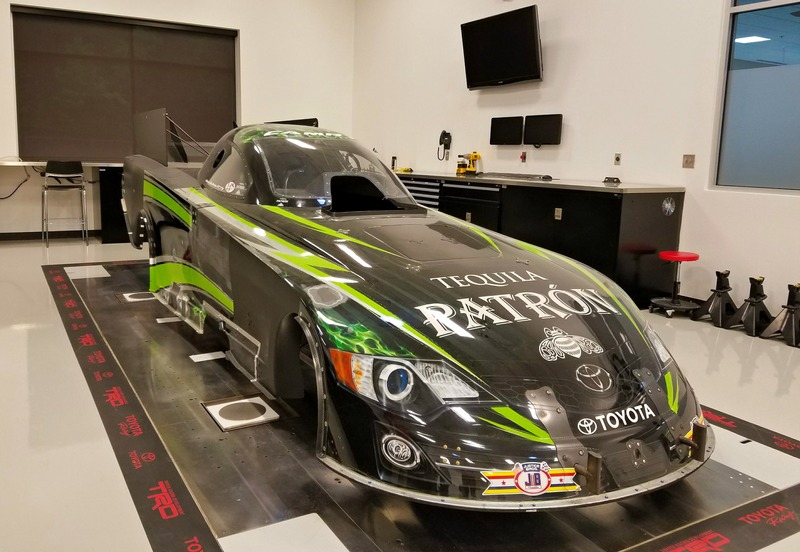 There is a great deal of science behind the cars you see on the track, as you can imagine! At the Toyota Racing Development facility. 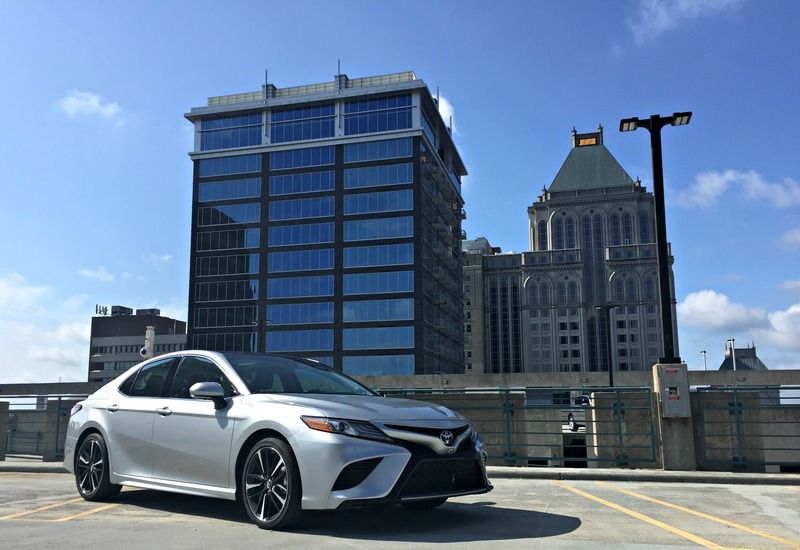 Back at home, I had a great time driving the 2018 Toyota Camry XSE for the week, and I only wish it could’ve been longer. They thought of everything in designing this car, from the sporty look to the amazing safety features. It was so much fun to drive too. The list of things to love about this car is long, but I’ll name a few: the lane departure alert with steering assist, the pre-collision system with pedestrian detection, the sound system, the back-up and “overhead” camera, and just the great handling! 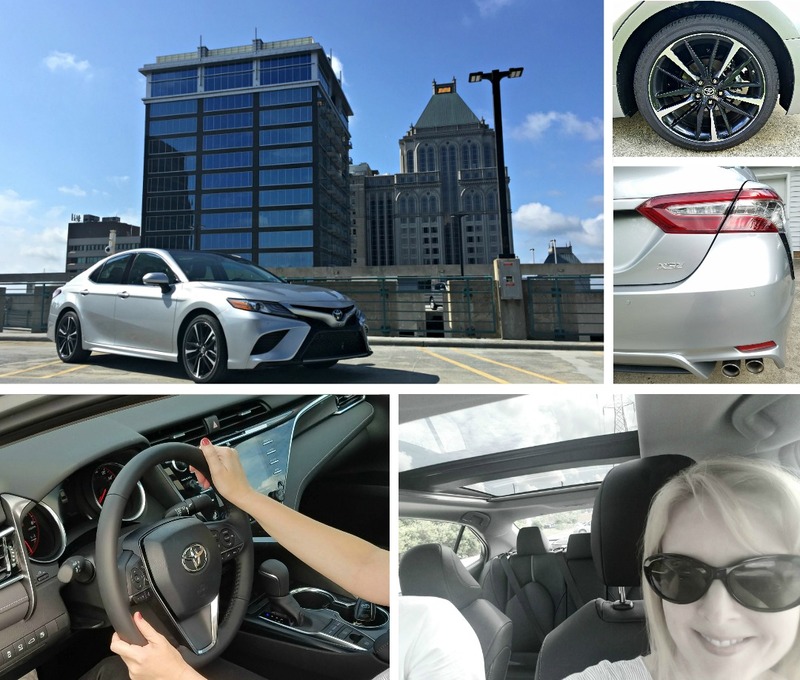 I encourage you to check out everything the 2018 Toyota Camry has to offer. 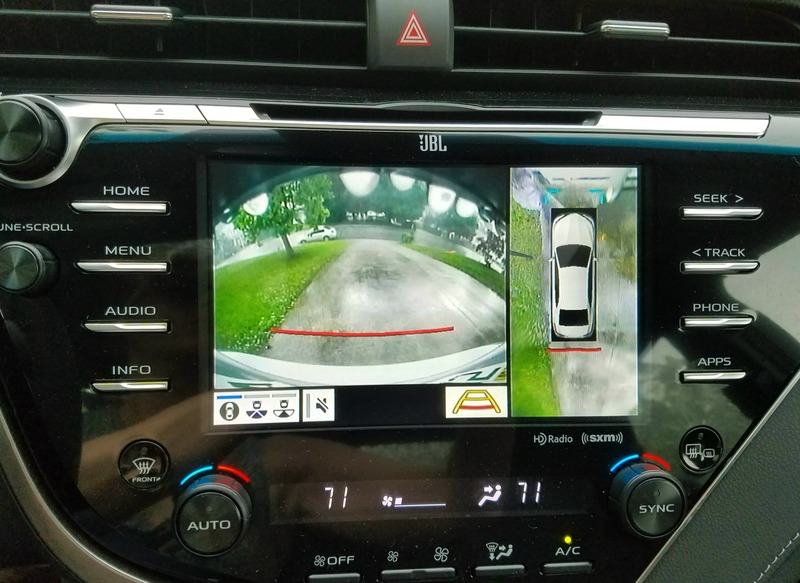 Backup camera and “overhead” camera on the 2018 Toyota Camry–how does it even do this? Aside from being a great safety feature, the overhead view also lets you know exactly where you are in your parking spot, which I thought was pretty cool. 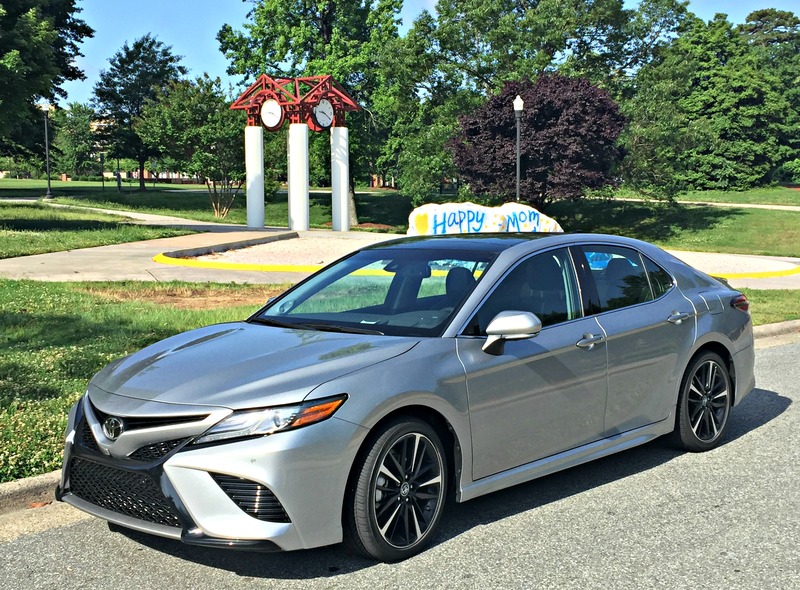 I took advantage of my time with the Toyota Camry XSE, including taking it to visit my son at his campus. They have a tradition of students spray painting a large rock, and this time you can see it said “Happy Mom.” I had to get a photo! So, are you a NASCAR fan? Let me know! Do you own a Toyota Camry? Leave me a comment! You are right, blogging is a lot of work. These are some amazing experiences that you can now add to your life and look back upon. Amazing car. Just remember to race on the tracks and not on the streets. I am a huge Nascar fan so this experience is awesome. Sounds like a great toyota to drive! Looks like you had such a wonderful time! I would love to watch a car race sometime. It looks really exciting. How exciting you got to test drive the new Toyota! It’s the Grand Prix this coming weekend here in Montreal so race car driving is getting everyone excited! The car racing experience is so exciting! I love to attend such events. My husband loves watching NASCAR! Ooh the Nascar is such huge series! My hubby is such a fan! What an awesome thing to be apart of!!! We went to a Nascar race once and it was so much fun! 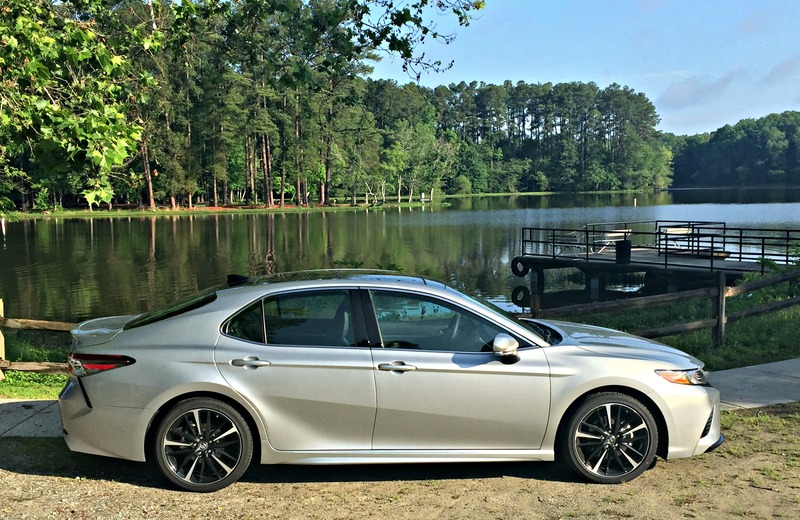 We love the new camry, it’s so sporty now! It must have been a great fun and experience for you. I have never been to a car race but this looks spectecular. We love Toyota and we have an old Camry that’s still so smooth to drive. I have never been to a car race before! Must be quite impressive! That car looks great! Wow! Toyota Camry is such a beauty! I bet you had a great time! my family is obsessed with NASCAR and they would of loved the idea of being able to go the all-star race weekend. i bet you all had a great time! This looks really cool! I have never watched NASCAR before. My husband and I did had a Toyota Camry at the house, but we recently sold it to buy a bigger car. Me and my husband would love this. He introduced me to Top Gear now The Grand Tour as I like the original cast, and I got a taste for fast cars. We attend a racing event a few months before in our city and I loved it. My husband would have loved to attend this. Looks like you had an awesome and unique experience. That is a dream come true for any NASCAR fan. I have several boys who would love to see all the behind the scenes. My boys love car racing. I’ve always liked Toyota vehicles. I know they run well. My husband likes watching NASCAR! What an awesome experience! I am actually flying to Dallas next weekend to visit a friend who recently started working at the Toyota campus in Plano. I should ask him how I can get such an opportunity. This must have been such an awesome experience for you! I hope to grow my blog enough to be able to get an opportunity like this someday!